After a stint at the recent 2018 George Town Festival, Nam Hwa Opera is returning this October with their quarterly Nam Hwa Blazes programme at the Aliwal Arts Centre! For this 11th edition of the outreach performance, rising talents from the troupe will be presenting an afternoon of excerpts from four classic Teochew Operas, namely《琼浆玉露》 Qiong Jiang Yu Lu,《别仙桥》Bie Xian Bridge, 《谢启托媒》Xie Qi Appoints A Matchmaker and 《梅亭雪》Winter at the Mei Pavilion. In 《琼浆玉露》 Qiong Jiang Yu Lu, Teo Lee Koon and Wang Hua Er star in this battle against royalty, as a gift of ‘immortality’ from the Emperor to another threatens to go awry when it is revealed that there are hidden agendas abound. In 《别仙桥》Bie Xian Bridge, Chua Si Lek and Ng Gek Kee play an immortal demonslayer and mortal man, star-crossed in forbidden love, and when discovered, are forced to separate as they wave a tearful farewell at the eponymous Bie Xian bridge. In《谢启托媒》Xie Qi Appoints A Matchmaker, six performers will perform this tale of love between a businessman and a captivating woman. Unfortunately, said woman is still in mourning after losing her husband, presumed dead, forcing the businessman to enlist the help of a matchmaker to convince her to marry him. Finally, in 《梅亭雪》Winter at the Mei Pavilion. we end with a tale of a secret marriage between a courtesan and scholar, torn apart when their clandestine marriage is put at risk as the scholar refuses to defend his wife of a crime she did not commit. Through the power of true love, will he be able to mend his ways and reunite as a couple once again? 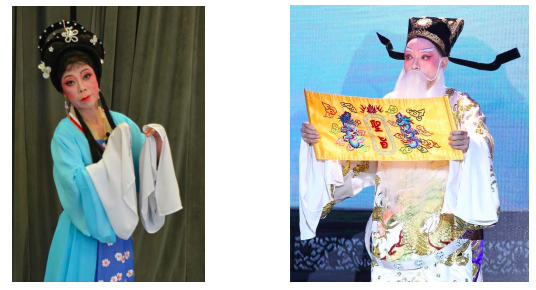 Come find out for yourself why this traditional art form deserves to be preserved and performed year on year without fail, promising laughter and tears from the drama that unfolds before you in this exhilarating afternoon of Teochew Opera.